Making pho broth: using the right equipment for the job. Updated 03-15-19. 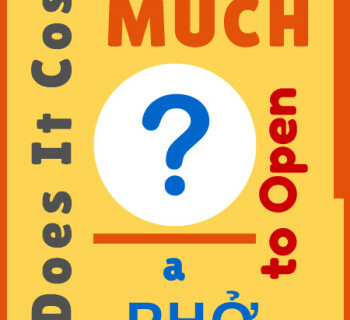 So you want to open a pho restaurant. The question is, to successfully open a pho restaurant, what are the requirements and considerations unique to a front of the house (FOH) and back of the house (BOH)? In a few words, your FOH and BOH need to be designed properly for both form and function, and for use by both customers and staff. But before we dig too deep into the meat of the matter (pun intended), let's first have a reality check. Opening and running a successful pho restaurant is extremely hard work and requires close attention to all aspects of the operation. 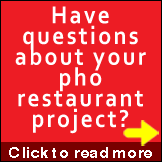 If you just want some quick and easy tips to quickly open a pho restaurant without regard to quality, service, or process, then you're not going to find much useful information here. 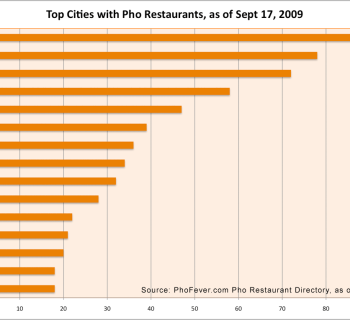 As I've explained elsewhere on the site, pho restaurant ownership is not for everyone. Those with the right mindset and discipline can actually make it and sustain it. Consider yourself informed. So are you ready? Let's dig in. A pho restaurant is different from other typical restaurants in many ways. For an aspiring pho restaurant operator, you'll find in this article important tips for consideration before you proceed too far in the design process. Let's start with some basics about a restaurant's two main areas. Front of the house (FOH) refers to the dining room where customers are served by a FOH staff. Back of the house (BOH) refers to the kitchen and prep area in the back where foods are prepared and cooked by the BOH or kitchen staff. Current trends in quick service concepts have an "open kitchen" where customers can see the actual cooking and plating of food orders, and how their foods are prepared and served. This is a gray area between FOH and BOH, but the reality is there is most often another kitchen area in the back out of the customers' view where most real preps are done. For obvious reasons, FOH and BOH employs different staff with different sets of skills, pay rates, training and responsibilities. Some are crossed trained or have the desire and skills to be good in both, but mostly there is a clear line separating the two. It's not just because they're hot, but there are lots of them, huge quantities. There are lots of hot liquid going on in a pho restaurant. 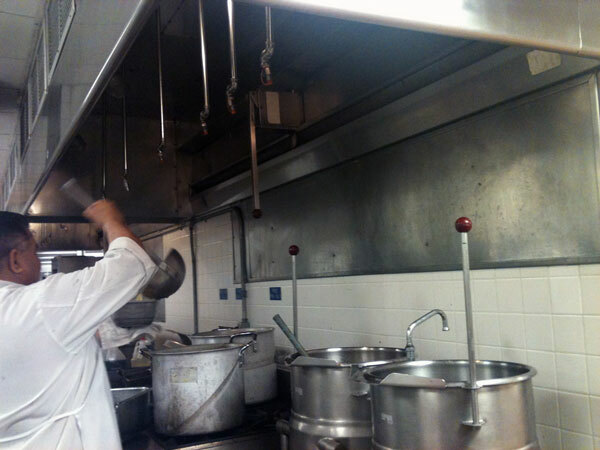 Look at any Asian noodle house and all you see is steam in the kitchen. Pho kitchens are no different. Pho requires a lot of boiling water for many purposes. The meat and/or bones have to be parboiled, then simmer in large amounts of light-boiling water over long periods of time. 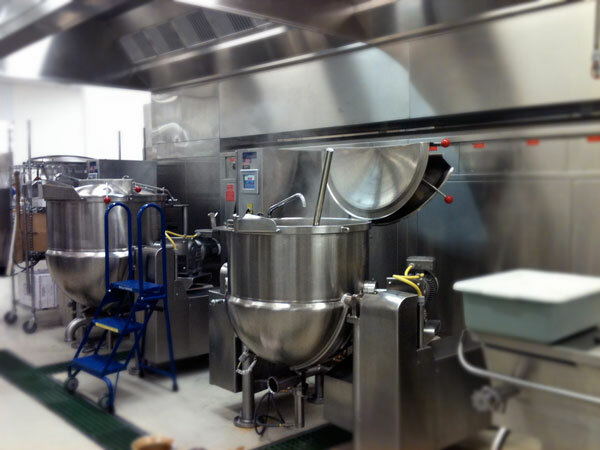 Depending on how a restaurant manages its broth production line, broth production may range from 5 to 10 pots of 80-to 100-quart (or larger) of boiling or near-boiling broth at any one time. Nowadays with newer concepts employing open kitchen or "Chipotle" style service, we're talking new issues that traditional pho places, those that assemble pho behind kitchen doors, don't have. On the serving line (either same or separate from the production line), in addition to near boiling broths ready to serve, there is also boiling water for blanching of the banh pho rice noodle. With these new concepts, the kitchen or serving staff work in full view of the customers. In any case, at a weight of over 8 pounds per gallon for water, we're talking about managing and moving large, heavy and hot amounts of broths around the kitchen and serving areas, many of which are confined spaces, I should add. The final plating area. For those who serve pho "Chipotle" or cafeteria style, this is where it all starts after a customer places an order. Your bowl of pho is assembled here, beginning with dry ingredients into the bowl, then a good ladle of hot broth is poured right into it. Whether you have an open kitchen, the staff/server in this area must be trained to handle hot-broth-into-bowl final plating with professionalism, efficiency, in addition to doing it a safe and sanitary manner. Serving the pho bowl to customers. If your server brings food to the customer at the table, then she needs to be trained on how to do this professionally, safely, and quickly. The first 2 are a matter of course, but the latter is just as important if not much more important. You see, to serve pho right, the banh pho noodle and all of its ingredients in the bowl must be cooked correctly. 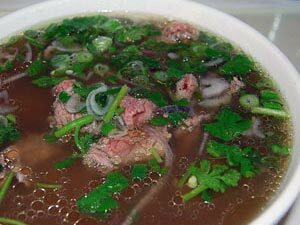 Preferably, pho should be enjoyed as soon as it is plated and ready to serve. Otherwise the ingredients will be overcooked, especially the banh pho noodle. Ten or 15 seconds really matter in this case. So here's the bottom line: as a priority, pho restaurant owners need to train staff to serve pho to your customers fast, safely and professionally. The cleanup, or bussing of dishes. Most pho customers, specifically Vietnamese/Asian, do not finish all the broth in their pho. As a result, when the customer leaves her table, the bussing staff has nearly half a bowl of broth to clear. 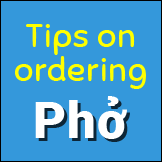 For this reason, many pho restaurants employ the bussing cart to help making this task easier. This may have been okay many years ago but, in my opinion, this is no longer acceptable. It is a no-no. It is unsanitary, and the cart should never be in the vicinity of the customers when they're enjoying their meals. It is yucky. There are other ways to do this, such as providing a staging points near the dining room for the bussing staff. This way they can cart the dishes away at opportune times between services. Pho restaurant owners need to think out this part of their operation more carefully; your customers deserve better than cart-next-to-dining-table laziness and a chance to get sprayed with leftover broth from another table. Making hot pho broths. 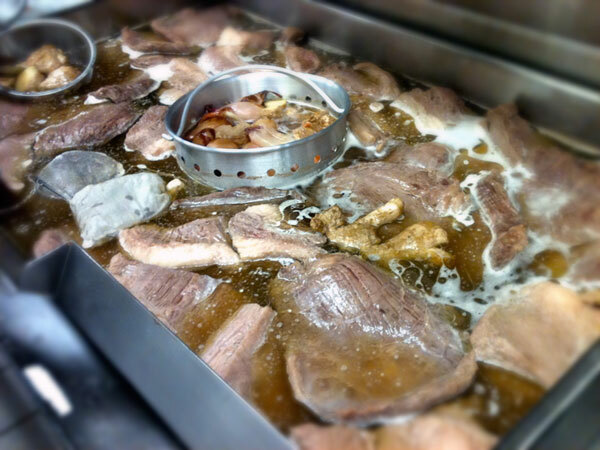 Some pho restaurants serve hundreds of gallons of pho broth a day. Having a constant supply of pho to serve hungry customers demands large quantities of hot broths to be made at a time. For reasons such as limited space, cooking equipment size constraints, etc., there is an upper limit of how much broth can be made in a single batch. Regardless of how a kitchen is equipped, the process and related issues of making hot broths are pretty much the same: long brewing times, hot boiling liquids, hot and heavy solids (bones, meats and other ingredients), and their proper handling and disposal. Pho restaurant owners need to consider their cooking equipment installation and their surrounding areas carefully to provide safe working environment for staff when it comes to broth production. Broth storage. 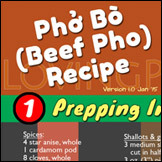 Depending on how the kitchen operation dictates pho broth production, storing pho broths in bulk for later use is a good option, and many do employ this technique. The most important consideration in this case is the proper protection of the broths to meet local health regulations, from quickly cooling them, to properly storing them, to rethermalizing before serving. Pho restaurant owners need to first design for it, then provide proper training for production staff to adhere to temperature safe zone requirements, to practice proper storage techniques, and to safely handle large quantities of hot and cold liquids and containers. Furthermore, proper cooling and handling equipment needs to be installed to help staff do their jobs right. Don't gamble with your business and your employees' safety, because accidents will happen, and by definition, unexpectedly. Transporting. Whether hot or cold, safe transporting of pho broths around the kitchen must be addressed as early as during the design of the BOH. Assuming proper equipment is provided, pho restaurant owners need to work out the details and give training to staff for the transporting of hot or cold broths between the kitchen, storing areas, and serving areas. The clear and important goal here is accident prevention, and you should have procedures in place in case an accident occurs. The owner needs to recognize the potential for trouble when it comes to making, handling, storing and serving large quantities of hot broths, and develop clear policies to help staff work safely. Have a good training program in place for all staff to follow, as well as detailed training for new employees and regular refresher for all at regular intervals. Treatment is always more expensive than prevention, so always practice prevention first. Then if that fails, activate your treatment procedure. But you shouldn't have just one and not the other; you need to have both in place. A solid policy should at the minimum include both procedures to prevent accidents from happening, and procedures to rectify problems after they occur. Of course you still have to serve amazing tasting pho, but if you can put the things discussed above into practice and spend some extra time to make them part of your crew's day-to-day habits, your staff will love you for it and your customers will appreciate you knowing that you really care. Then you will be way ahead of the game to ensure success of your new pho restaurant. This above information will help your pho restaurant business achieve success in a sustainable way. Why do it if you can't sustain it? I’m trying to research equipment needed in running a Pho restaurant and other than stock ranges and stock pots, I can’t find out any information about what other options are out there for parboiling and simmering in the most efficient manner. I really appreciate all the great information posted on this website and would be very thankful if some light where shed on equipment, prices, and suppliers. Thank you in advance for your time and the time you’ve spent helping people like me! Hi Seth: Thanks for inquiring. Currently Vietnamese pho is not quite a mainstream cuisine (and will probably remain so for a long time) and as a result, the commercial equipment industry sees no need for developing special equipment for pho. All major equipment manufacturers are out there and they will gladly provide you with any information you want if you ask the right questions. With that said, from my experience, if you know clearly what your requirements are then you can find the right tools for the job. To answer your question, specifically about parboiling and simmering, and about “most efficient manner”. In a successful commercial kitchen, the 2 most important assets you must possess are 1) the right equipment, and 2) the right process. In general choosing the right equipment and creating the right process depend on a large part on your requirements (menu items, complexity of recipes, production volume, storage capabilities, and proficiency of staff, among other things). While “parboiling and simmering” and “most efficient manner” do depend somewhat on the equipment used, they are in fact processes in reality. I’ve seen many people make great pho with just pots and pans using their excellent knowledge of the processes and professional level experience. And I’ve also seen inexperienced pho operators with a kitchen full of the latest and most modern equipment but their pho is mediocre at best. I understand we all wish that they make a “pho broth cooker” like a rice cooker; you just hit a button and get the perfect pho broth every time. But pho does not work this way; it has just too may variables and variations. When I work with a client, I never prescribe a solution without first understand the owner’s needs and requirements. In your case, knowing how much volume you want to produce, how often you produce it, what your level of proficiency and knowledge is, what your recipes look like, how much storage you have, how you train your staff, among many many other things, will help me give you more relevant and accurate answers that will work for your situation. If you have further questions then please reach out. I recommend you go here to book a pho consulting session to discuss your requirements. I prefer not to discuss specific and individual restaurant business in a public forum.